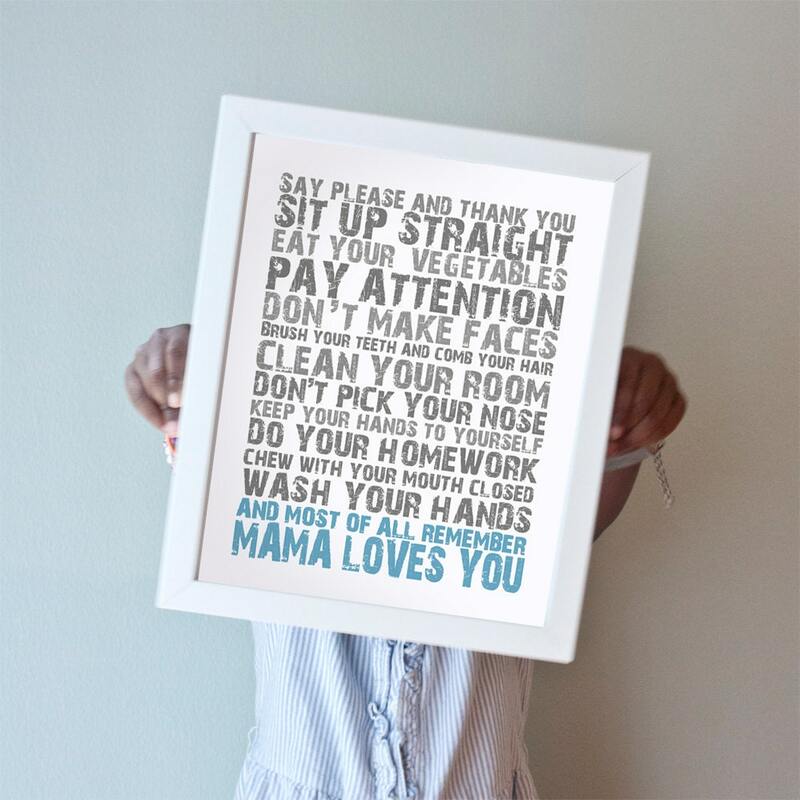 Mama Loves You print in gray and blue on heavyweight art paper. 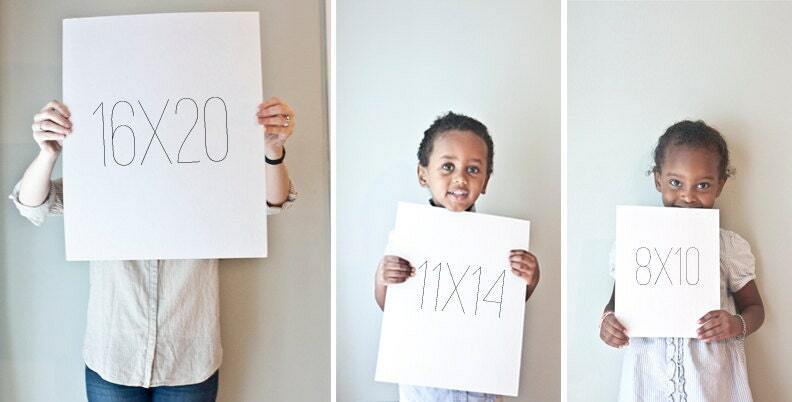 A sweet reminder for your little ones. *Now available framed! 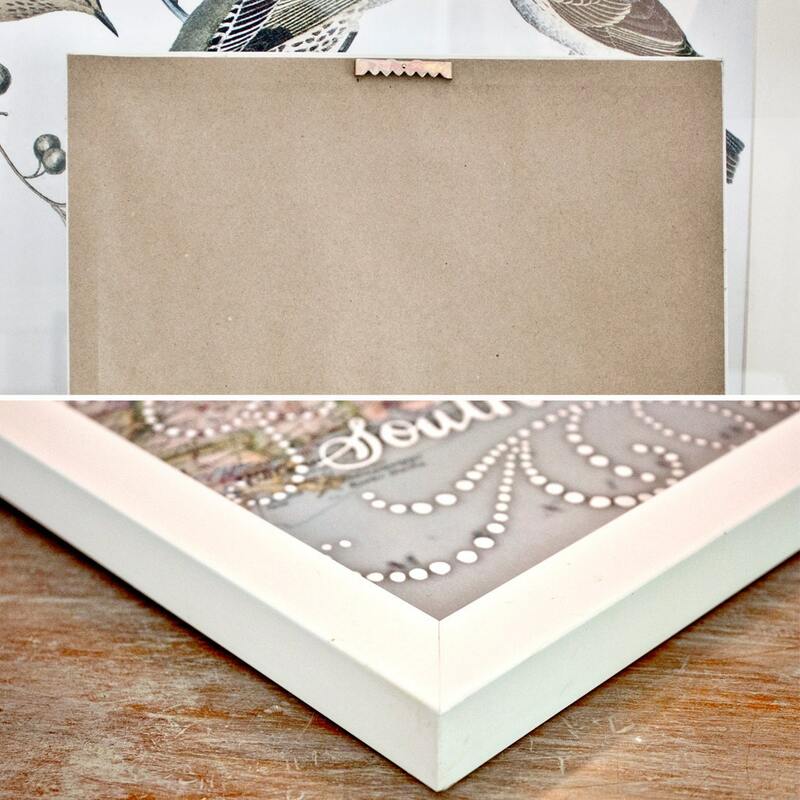 Select one of our framed options to receive this print framed in a simple white wooden frame as shown. 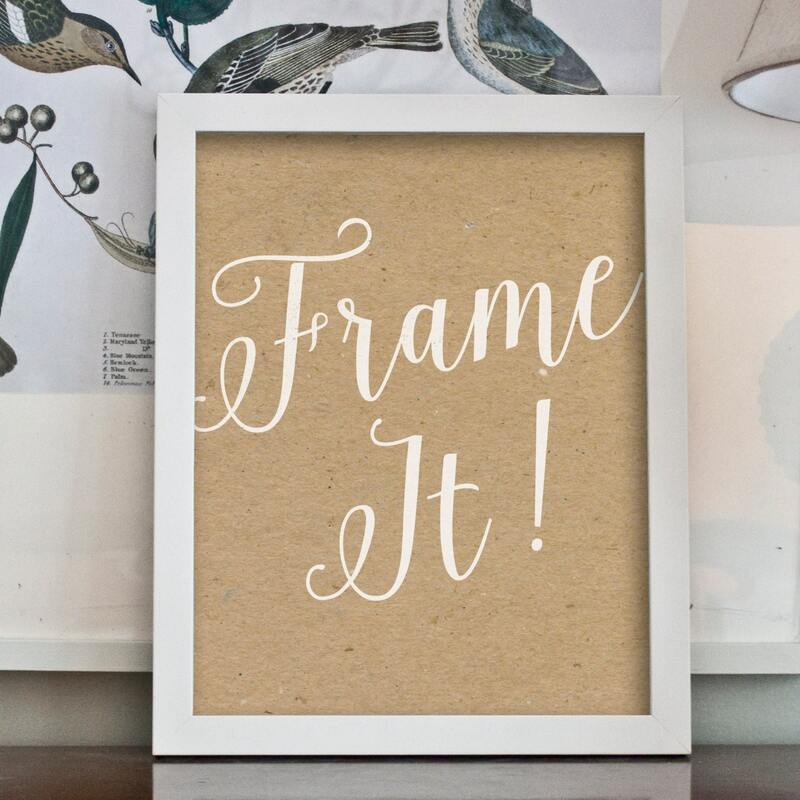 All frames are ready to hang with kraft paper backing, sawtooth hanger, and quality shatter-proof plexiglass.